Choose a loveseat that suits your unique style, and ensure a lifetime of use with this stunning Made in America loveseat! 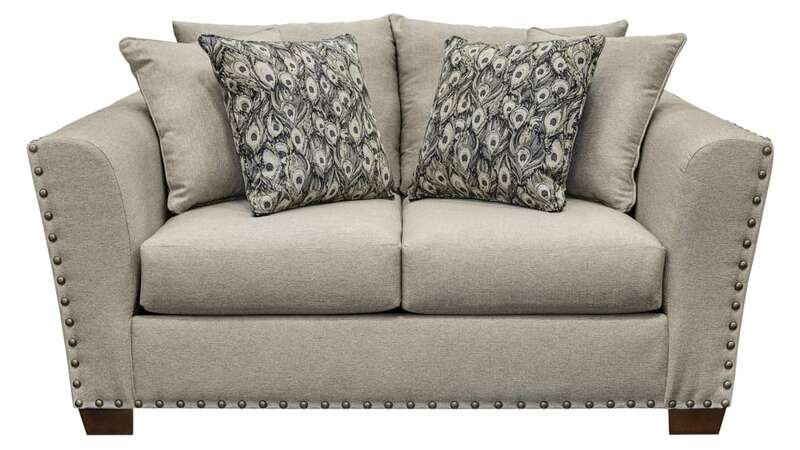 Peacock style throw pillows, neutral gray upholstery, and elegant nailhead trim combine to provide a sophisticated place to relax each day. Find it at Gallery Furniture TODAY, have it delivered TONIGHT!